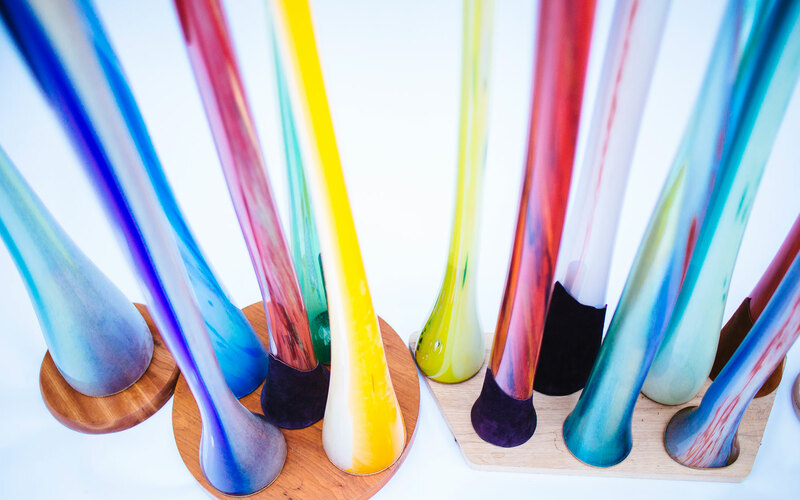 ood worker, glass-maker and sculptor, Nicola has been creating sculptural and professional musical instruments for the past 12 years. Recognize as one of the most innovative craftsman in Quebec, Nicola has received numerous prizes and grants for his research and creation. 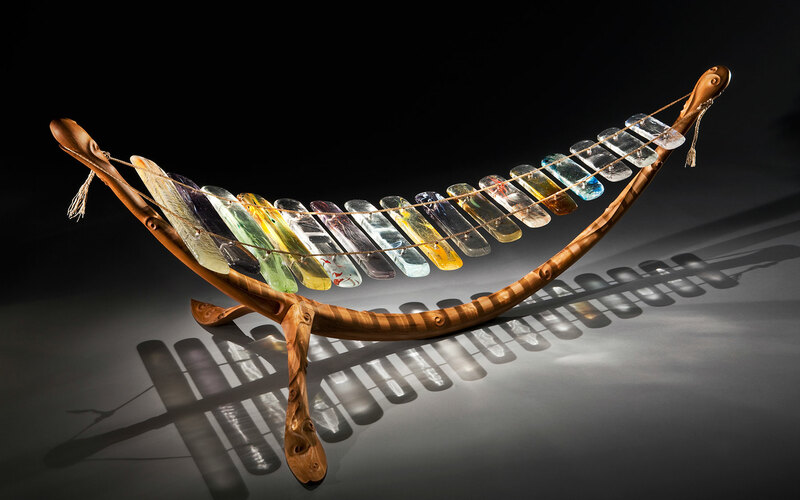 His work has been displayed internationally, notably at SOFA Chicago, Palm Beach New York and South Korea at the Cheongju International Craft Biennale in 2009. He participated in several joint and individual exhibitions provincially and nationally. Offering well-designed and practical musical instruments which have a high-sound quality and are visually inspiring. Wood-worker and glass-maker, I create unique sculptural musical instruments inspired by folkloric traditions and Montreal’s rich multicultural heritage. I play with the endless possibilities of glass and crystal – texture, transparency, opacity, colors – to create visually stunning pieces. I also use various wood essences to carve organic, slender and curved lines to create sober pieces which evoke movement, lightness and delicacy. New to our ear, the unexplored sound of glass and crystal completes the spell. Throughout the years, I’ve developed a unique expertise to create glass and crystal musical instruments. I use different methods like cast glass, molding, blown glass and cold glass. 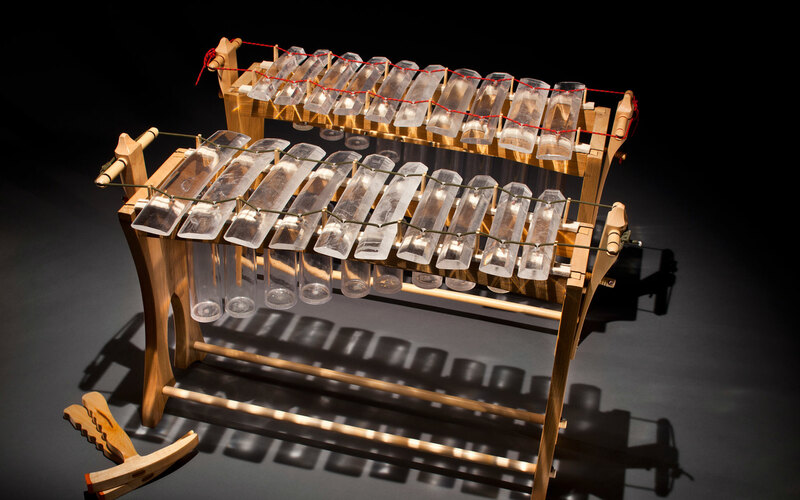 My knowledge of the glass’s acoustic wave enables me to tune, pierce and hang the crystallophone notes without altering their vibration. My research has brought me to create complex pieces of bentwood, while taking into account various practical aspects without compromising aesthetics. All of my pieces are easily transportable and dismountable without tooling. Attention to quality and detail is always at the core of my work. These pieces are a true fusion between different cultures, materials and my passions. I see them as objects of beauty and innovation that come straight out of a fairytale. To access my résumé, click here.